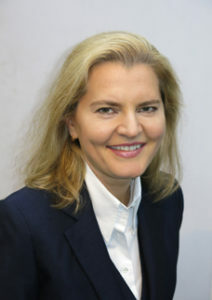 Marina Warwick, LL.M., (t/a Alma Legal) is the only Isle of Man advocate, English solicitor and Russian lawyer in private practice with formal qualifications in international tax law, intellectual property law and Internet law (a standalone discipline in the contemporary LLM programme of the London School of Economics). protection of intellectual property rights on the Internet and ‘offline’. She advises on EU law, including its interpretation by the European Court of Justice and adequacy decisions of the European Commission in relation to the Isle of Man and the UK, before and after the termination of the UK membership in the EU. In particular, she has advised on the freedom of provision of gambling, online gaming and other services in the EU. Marina is also advising clients on data protection law, in particular, the recent changes to the rules of collection, processing, storage and transfer of personal data under the EU General Data Protection Regulation and the wording of agreements for trans-border transfers. She has also advised Isle of Man employers on the complexities of hiring key employees and becoming self-employed in the Isle of Man, including immigration, employment law, regulatory and contractual aspects, and the protection of the employer’s business, information and intellectual property. Marina uses her multi-jurisdictional experience and linguistic capacity to assist in international dispute resolution between investors or beneficial owners of high-value assets and providers of professional services, including financial, directorship, yacht and aircraft registration and management services. She also deals with the restrictions on the sale of high-value assets or shares in companies that own them pending the resolution of the dispute. She has provided legal opinions, which have been accepted by the competent courts, on questions of Isle of Man, English and Russian law, including private international law of these jurisdictions, for example, when Russian-domiciled individuals issued powers of attorney under other than Russian law or died leaving assets in the UK, with or without making a will.